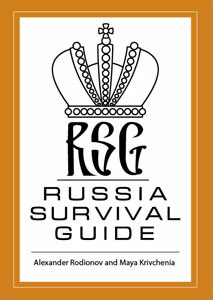 Russia Survival Guide -Why Russian women always wear high heels and full make up? Why Russian women always wear high heels and full make up? When you ask foreigner what the main exported resources of Russia, they always answer – oil, gas, vodka and add jokingly — women. The beauty of Russian women is known around the world. Visitors to Russia are always surprised to see that Russian women look like they are going to an Oscar night gala dinner even if they are just ging to grocery store or throw away garbage. Yes, Russian women always look great with high heels and full make up, and look great everywhere – in the museum during 4 hours walking tour, in the plane during intercontinental flight, on the beach during vacations, even sweating at the gym. The main reason is there more women in Russian than men. It is a fact that there are fewer men than women in Russia due to different reasons – stressful life, high rate of heart disease among men and the biggest problem alcoholism. The life expectancy rate for men in Russia is around 60 years old. Then there is the problem that the existing men are not exactly what women dream about, because we still have problem of alcoholism in Russia, and in general male culture is not as sophisticated as in other countries. So women from childhood know that there are not enough men, but they are all dreaming to marry a prince. Everybody believes that they can meet their prince any second, anywhere — that’s why they need to be prepared for this moment – that’s why you see high heels and evening make up on the sand beach, and Kim Kardashian copies in lines at the vegetable markets. In Russian, there still exist this archaic idea (cultivated by older generation) that women must get married and have first child not later than 25 years old. In Russian medicine we have term – «old-giving birth (starorodyashaya) – women who give birth after 2. The situation for women becomes really tough after she turns 30 and still hasn’t married – in Russian it is still something negative if you not married by this age. Of course Moscow and St. Petersburg are very different from other towns in Russian, there the above mentioned problems are not so exaggerated. In these cities you will see very fancy men and beautiful, single, independent women. In small towns it is enough for men to simply have regular job and not drink, and he will be married. Choice of men is so limited in deep Russian cities, so women take what they get. Therefore Russian woman always look so done-up because from childhood they have been raised with idea that their main goal is to get married, have children and create a household. With such strong competition you must look your best in order to make your chances higher.